Now that my parents have returned home, life as settled back to normal, so expect bentos and more this week! 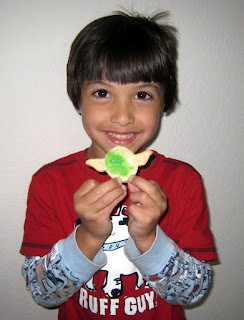 Today, however, it's time for The Kids Cook Monday, in which we made the best cookies ever. 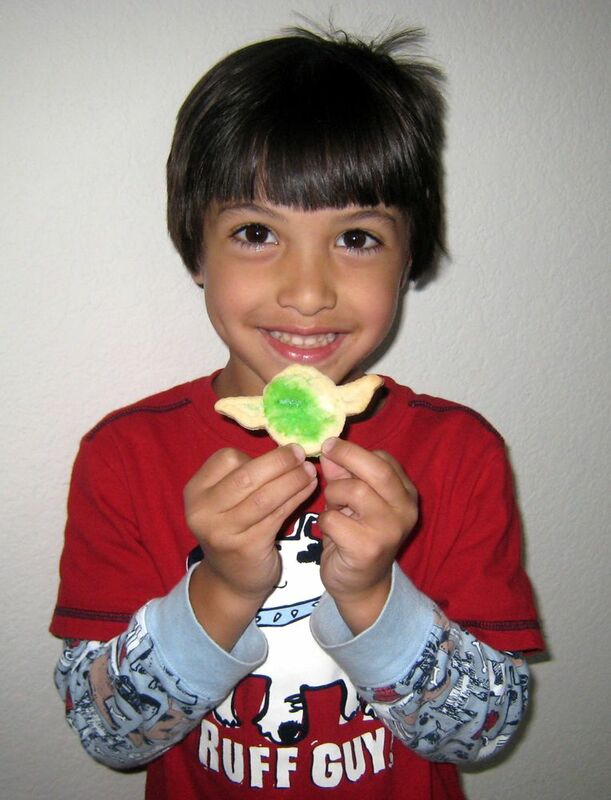 This would be a Yoda cookie, after icing and sprinkles. A note about the recipe, you may want to *half* this, half batches make about 7 dozen, we make full batches for Christmas and can end up with anywhere from 14-18 dozen, depending on the size of the cookie cutters. Mix together flour, sugar, baking soda, baking powder, then make a well in the middle. Crumble lard, then add egg mixture and mix well till dough forms. Roll out dough, and cut with cookie cutters. Bake at 400 degrees for 10-15 minutes, till edges are lightly browned. If desired, mix powdered sugar with boiling water to make a glaze, then add sprinkles! Visit my review blog for a chance to win a Yoplait Greek Yogurt Price Pack. This is one of my favorite crafts ever, made for my mom about 6 years ago, it hangs in her kitchen. And F&B and I are planting a taco garden, check out our Growums review on MomTrends. Sounds yummy, and they look adorable! Star Wars cookies! Just in time for May 4th, Star Wars Day. Fantastic! May 4th is Star Wars Day??? I need more cookies! These are so cute! 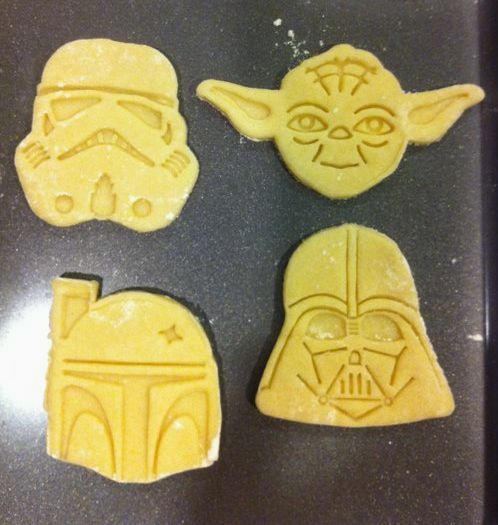 My little Star Wars fan would love these too. Too bad I didn't know it was Star Wars day today!